High Quality Content by WIKIPEDIA articles! Paul King (born 20 November 1960) is an Irish-born British singer, musician, VJ, and TV presenter.Paul King was born in Galway, Ireland, but moved to Coventry, England with his parents at a young age. 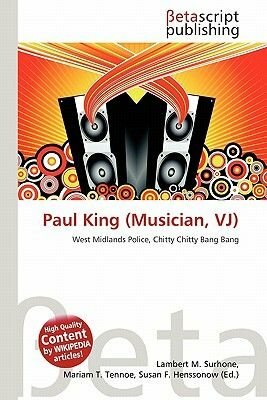 After graduating from Coventry Drama School, King considered joining the West Midlands Police, but joined rock-ska band, The Reluctant Stereotypes. The band - which also contained record producer Paul Sampson - released an album and three singles in the early 1980s on the back of Coventry's vibrant 2 Tone ska scene.